This year, Sheffield’s flattest and friendliest charity run turns 10! 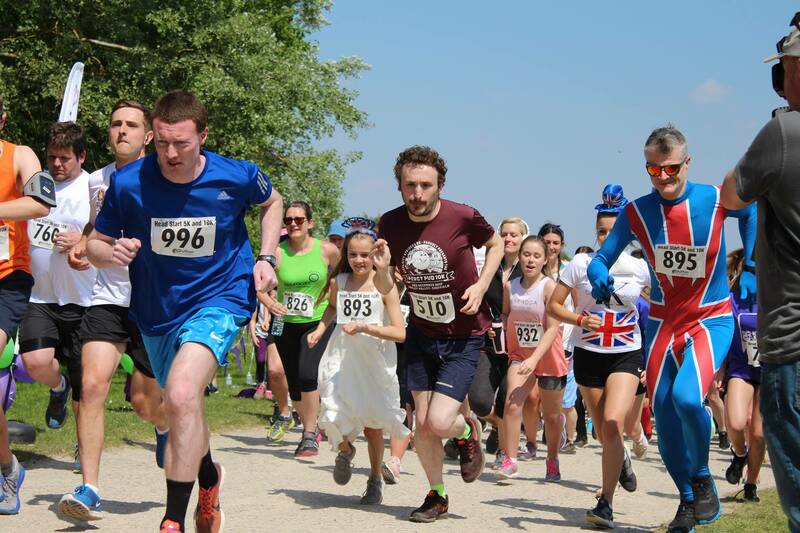 We want to celebrate by making it our biggest and best year yet, so lace up your running shoes for a 5K fun run or UKA chip-timed 10K and raise lifesaving funds for neurological patients in Sheffield. You’ll be joining #TeamNeurocare in our fight to improve the lives of patients with brain tumours, head injuries and other complex neurological conditions. We support Sheffield’s world-leading neuroscience departments by funding specialist equipment, pioneering research, patient and family support services and the transformation of hospital wards into more comfortable and welcoming spaces. Click here to find out more about who your fundraising helps and the projects you could support, including our urgent glioblastoma brain cancer research appeal. Please see ‘Event Information‘ for important race information about timings and what’s included before signing up. This year, we’re asking all runners to consider donating or raising £10 (that’s £1 for every year of Head Start) to support the life-changing work we do. Your gift will make such a difference for patients, their families and the NHS staff who care for them. What’s more, if you set up an online fundraising page via JustGiving, we’ll send you a FREE Neurocare Cotton T-Shirt to wear on race day (RRP £10)! Donate or set up your JustGiving page today!